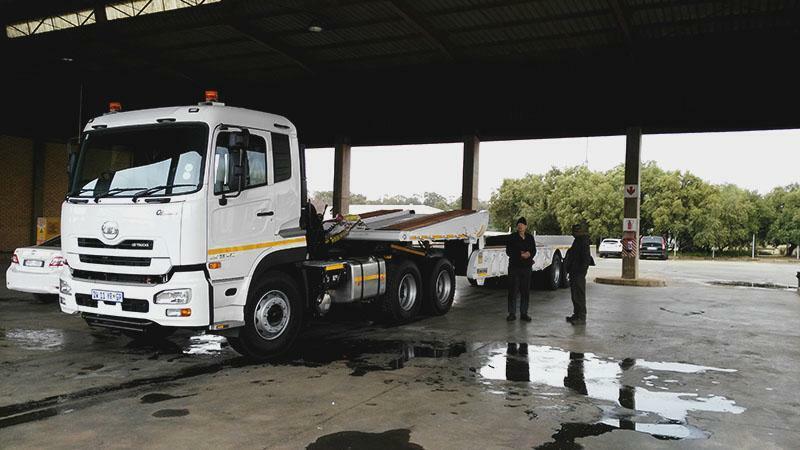 UD Trucks Alrode delivered a combination Quon truck and Kearneys trailer to Rand Water. The GW 26 450 TT ESCOT (Truck Tractor) with its Kearneys low-bed will be used to transport excitation / diggers to and from site. This heavy model provides you with the ultimate level of reliability and overall efficiency and works intelligently as part of a profitable transport solution.